Cabarete Carnival on the north coast of the Dominican Republic. Carnival is a time of happy celebration in most of the Christian world. Occurring just before Lent, Carnival involves parades, spectacular costumes and a general atmosphere of a street party. Things forbidden during Lent such as consumption of alcohol and meat and use of risqué language is common during the time of Carnival. Hidden behind masks and costumes, celebrants cut loose in ways they probably would not at other times. In the Dominican Republic, Carnival has been celebrated since 1520 when the early Spanish settlers introduced the February event to the island. Today, most cities and towns in the Dominican Republic sponsor Carnival activities such as parades and street festivals, every Sunday in February, with many locations seeing spillover into March. The oldest, best-known celebrations take place in La Vega and Santo Domingo. 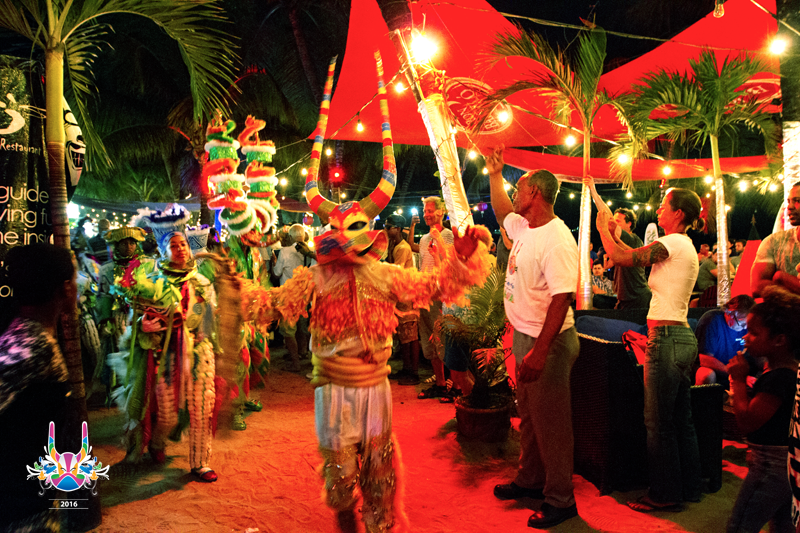 2016 saw a local celebration of Carnival in the popular seaside tourist destination of Cabarete. Long known for its great tradition of water-sports such as sailing, windsurfing and Kiteboarding, Cabarete’s Carnival event took place on Saturday, March 19th on the broad, restaurant-lined beach which defines the Cabarete lifestyle. The fun began at 5:30 with a street parade featuring religious and cultural characters represented by wonderfully outrageous costumes. The masks alone are worthy of special mention as they are works of folk art, requiring long hours of preparation. The masks depict el Diablo Cojuelo and calife, among other well-loved characters from the country’s long, colorful past. By 8:00, the parade entered the beach and meandered along the strand, past restaurants and nightclubs, delighting thousands of happy locals and tourists alike. When the parade ended around 9:00, the party began. Live music, tropical drinks, and smiling faces painted a happy picture of spontaneous joy in this famous tourist town beside the sea.